Place Sainctelette, Avenue Louise and Rue de la Loi are among the Brussels streets where cyclists feel the least safe, according to a nine-month-long study where volunteers "pinged" danger spots around the city. 400 volunteers took part in the experiment between May 2017 and January this year, pushing a button on their bike handlebar connected by Bluetooth to their smartphone whenever they encountered a difficulty on the roads. Between them, the cyclists "pinged" 40,000 incidents. "These are not necessarily the most dangerous places but where the cyclists feel in danger," said Wim Billiet from Mobiel 21, the organisation behind the study. Among the other danger spots highlighted by cyclists were Avenue Albert, Boulevard du Souverain, Rue Royale and Chaussée d'Anvers. The most common problem (41%) was a conflict with another road user - such as a driver not allowing enough space when overtaking, or a car parked on a bike path. Poor cycling infrastructure accounted for 32% of the problems recorded. Cyclists' association Gracq said the findings "confirm what we already knew". Spokeswoman Florinne Cuignet said: "Solving all of these problems takes a lot of time." 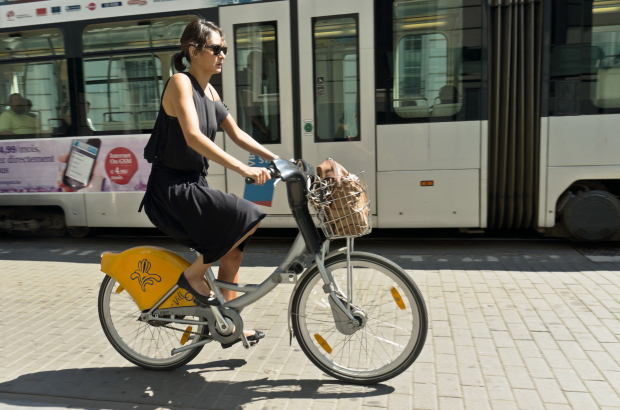 "We have to continue to invest in bike paths and road improvements," said Bianca Debaets, Brussels secretary of state for road safety. "But also a lot of the concerns raised relate to a lack of respect by fellow road users, so we need better public awareness campaigns." Fietsers die campagne voeren zullen alleen blij zijn als ze alle andere weggebruikers elimineren. De actiegroepen en gemeentelijke autoriteiten gebruiken dit voor politiek gewin.